High Alumina Bricks by KJD Exim Pvt. Ltd.. Supplier from India. Product Id 568826. Our company located in yangquan city, shanxi province, china, and yanquan city is one of the Largest refractory material base in china. 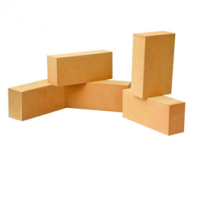 We are in position to supply various kinds of Refractory bricks, such as high alumina and fireclay bricks, insulating bricks etc With the catalogue as follows: 1. Fireclay brick 2. High alumina brick 3. Insulating brick 4. 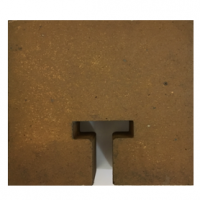 Unsintered phosphate brick 5. Al-c sliding plate 6. Nozzle 7. Hollowwares 8. Refractory mortar 9. Refractory castables 10.Other refractory material. 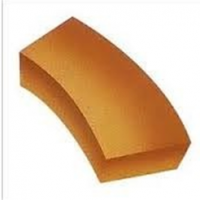 For hot blast stoveFor eaf roofFor general use Goods no.Ghha65,Ghha55,Ghha48,Rhs,Rh1,Rh2Al,75Al-1Al-2 Al2o3(%) min655548807565756555 Refractoriness( ) min179017701750185018001790179017901770 Refractriness under load 0.2 mpa( )150014701420155015301520152015001470 Apparent porosity (%) max_191922232322 Ccs (mpa)min4944.139.278.568.658.8544944.1 Shrinkage after reheating 1500x2h (%) max+0.1-0.4+0.1-0.4+0.1-0.4+0.1-0.4+0.1-0.4+0.1-0.4+0.1-0.4+0.1-0.4+0.1-0.4. Search More Like "High Alumina Bricks"